Here on TechClient, everyday we present free best (HQ) resources for your web design & graphic design projects. Today we are going to share 2 Free The new MacBook Mockup PSD. In this post we present 2 Free The new MacBook Mockup PSD that presented by wellgraphic & iceflowstudios. 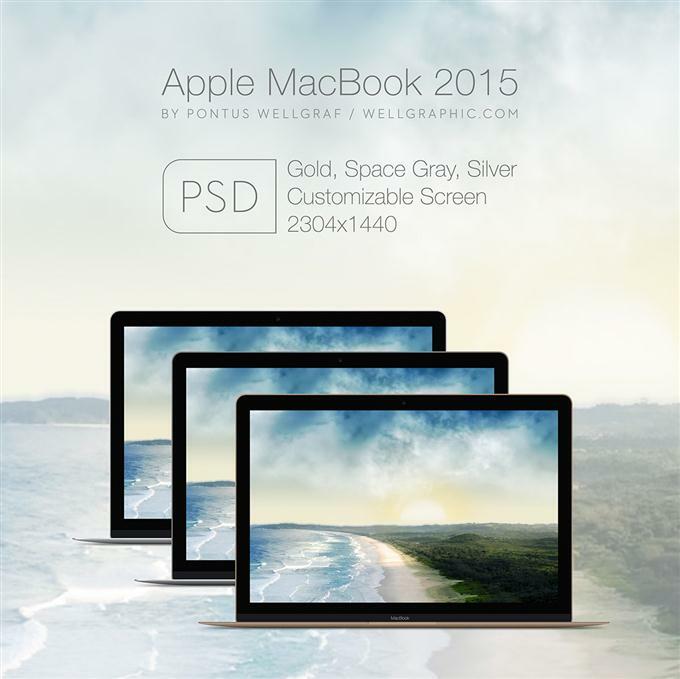 Free New MacBook 2015 Mockup PSD for you to download and use in web design or graphic design. You can download The New MacBook Mockup PSD and use it free for personal project. Announced just yesterday, Apple’s new MacBook is a thing of beauty! To help demo your Mac applications, here’s a completely free MacBook PSD – in silver, space grey, and gold! The brand new Apple MacBook 2015 Mockup PSD file!